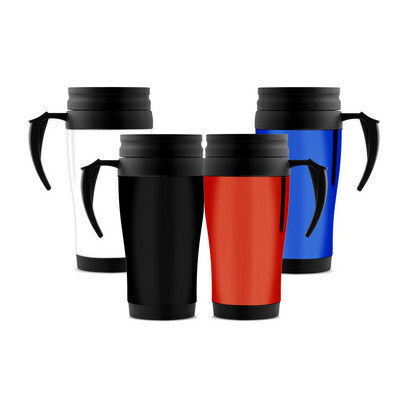 Features: This Plastic travel mug is capable of holding 350mland features a double plastic wall to retain heat and increase durability. This mug is available in Black, Blue, Red and White. Price includes : 1 COLOUR 1 POSITION PRINT. Setup is included.